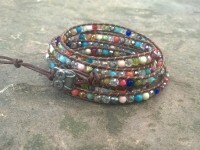 Fun, colorful, leather ladder bracelet that wraps around your wrist 5 times. 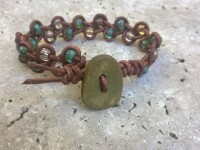 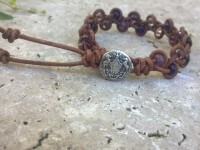 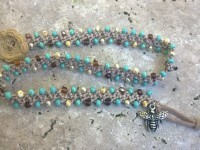 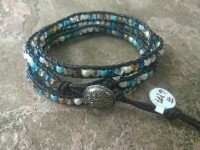 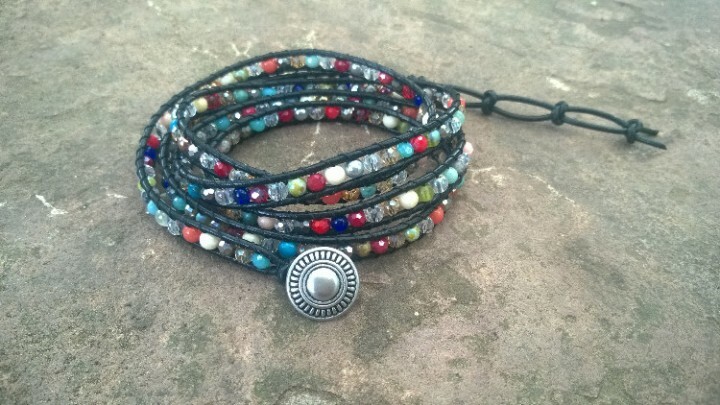 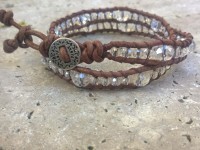 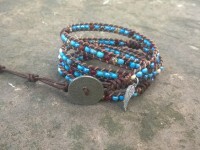 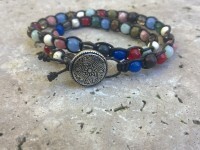 Made with a mix of colorful glass and stone 4mm beads on a black 1.5mm leather cord. 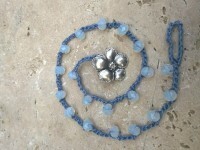 Closure is a silver decorative button, with 3 loops for different wrist sizes. 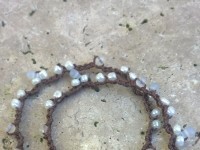 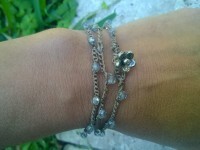 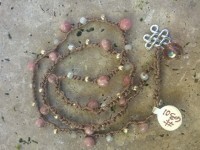 Total length of bracelet is 37".